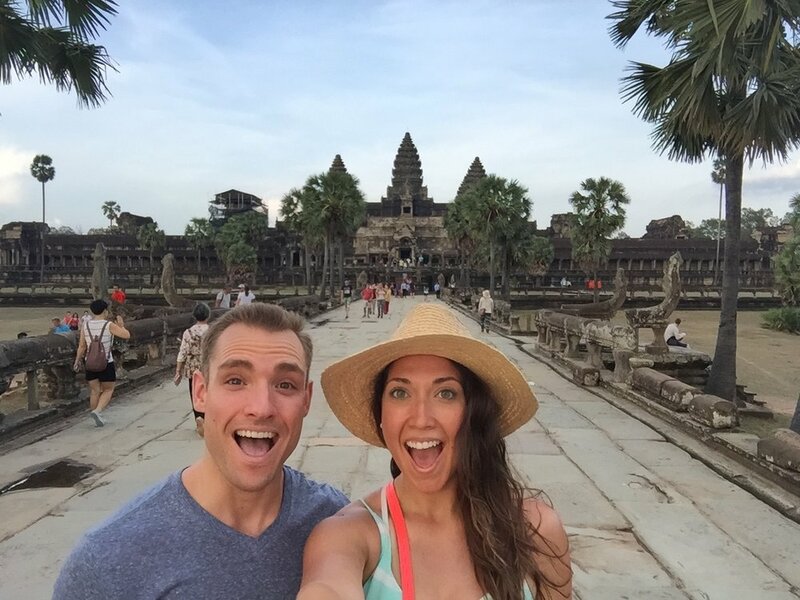 The first stop on our tour was The Angkor Wat Temple. (#1 on the map below). We started here bright and early in the morning to watch the sunrise over the Angkor Wat Temple. (a MUST DO, see my separate blog post). And after the sunrise, we found ourselves practically alone roaming the unbelievable temples. Ok so now for a bit of a history lesson. I will admit, this was completely taken from wikipedia. (when you're traveling, a little google-search on wikipedia becomes your best friend, and its way cheaper than hiring an actual tour guide). 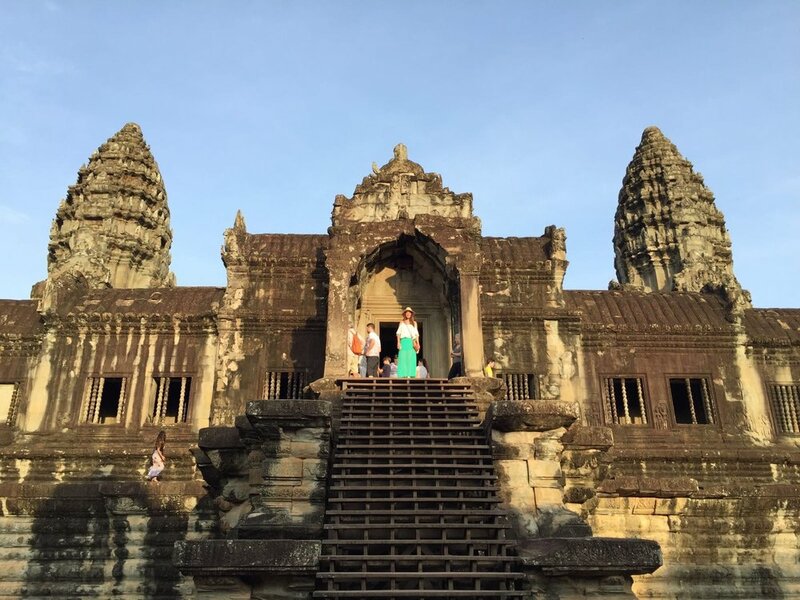 "Angkor Wat is a temple complex in Cambodia and the largest religious monument in the world. It was originally constructed as a Hindu temple of god Vishnu for the Khmer Empire, gradually transforming into a Buddhist temple toward the end of the 12th century. 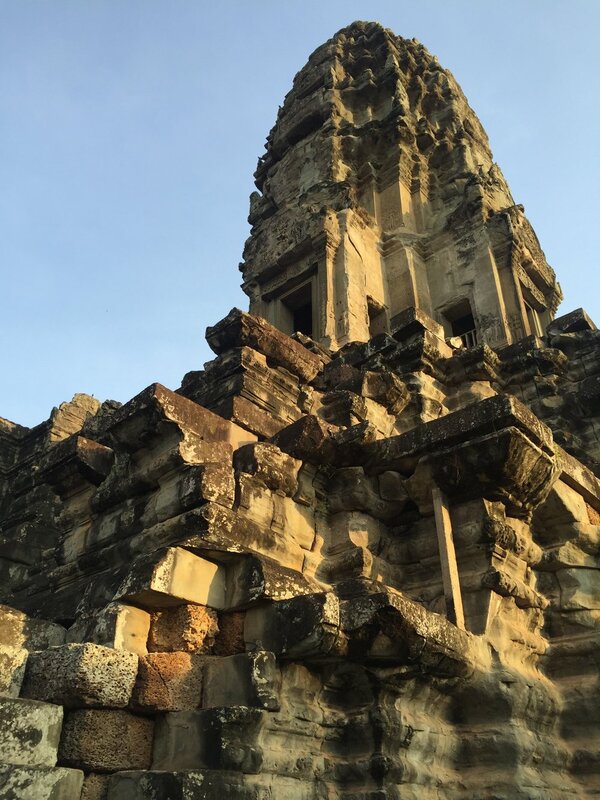 It was built by the Khmer King Suryavarman II in the early 12th century in Yasodharapura, the capital of the Khmer Empire, as his state temple and eventual mausoleum. Braking from the Shiva tradition of previous kings, Angkor Wat was instead dedicated to Vishnu. As the best-preserved temple at the site, it is the only one to have remained a significant religious center since its foundation." One tip - always take advantage of buying a fresh coconut when you see one. These were just $1 each, and SO refreshing! It was going to be a long day for us so we needed those electrolytes! Can you believe how empty the temple is? Well, not for long, by around 9am, the tour groups started rolling in. But not before we got some sweet solo pictures. And as we were leaving, look who stole our leftover coconuts! Looks like we both have a love of fresh coconuts. 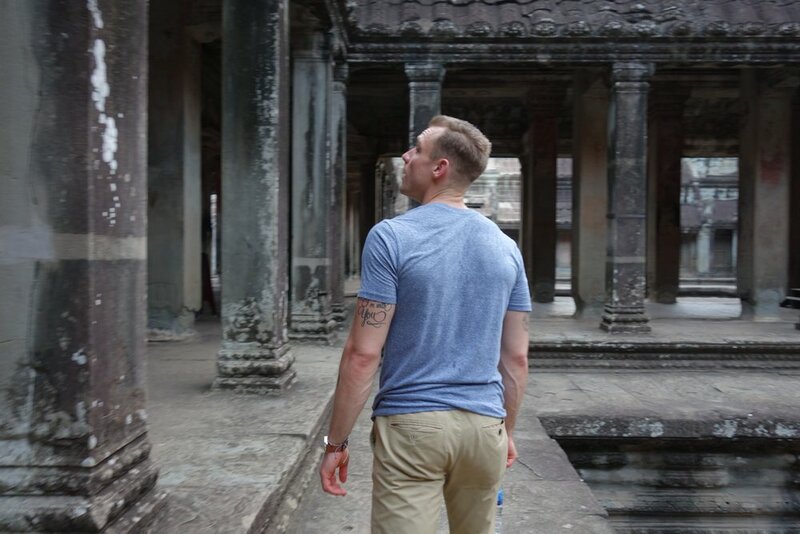 Onto the next temple, Angkor Thom!